Aligning your business with Goodwill will not only help your company or organization meet its branding and philanthropic goals, we can also help train and engage your employees to enhance culture and advancement opportunities. From customized workshops facilitated at your office, to digital skills classes for employees, to listing your open positions within our Career Connection Centers, Goodwill has options for every business need. In partnership with The Center for Relationship Education, Goodwill Industries of Denver is excited to offer 8-hour workshops to the business community. The curriculum has been developed after 30 years of research, largely conducted at Denver University. By bringing the “Winning the Workplace Challenge” to your facility, participants are within a familiar environment, allowing for maximum comfort and engagement! Goodwill Denver is partnering with CSU Online to offer this digital badge program that develops employees' soft skills on their paths to find success. The online curriculum includes seven online courses, giving every participant a foundation of knowledge and tools to be the most valuable employee. 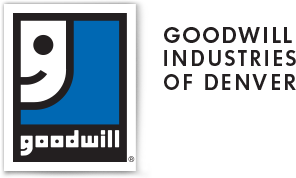 By partnering with Goodwill, we can offer your employee base an opportunity to earn credentials and prove their competencies as they work to advance their careers. 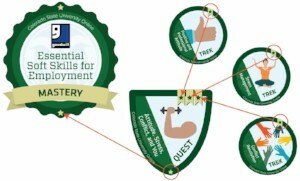 Each digital badge is a symbol of expertise and accomplishment that an employee can share on a resume and among professional networks. Goodwill Career Connection Centers provide help, training, and resources to anyone striving for a meaningful and lasting career. By posting the open positions and other career opportunities available within your organization at a Goodwill Career Connection Center, we can help you find the right candidates for the job. Not only are you fulfilling a business need for your company, you're helping change the lives of countless Coloradans in need through the Power of Work. To learn more about our Career Connection Centers click here. This blended curriculum is taught by a Goodwill facilitator but designed by Google! Train your staff members to utilize the Google Suite better and improve their computer skills more generally. 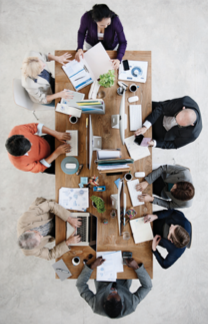 Enhance your internal training and development by equipping your employees with the ever-growing demand for new skills in a digital economy.